Knowing online keno rules is essential when planning on playing the game. If you enjoy playing lottery games or bingo, you will probably like online keno as well. Read on for some keno rules you will need to know when playing this online casino game in South Africa. In the game, there is a grid with numbers 1-80. You then get to choose a specific total of numbers between 2-10 – this might vary depending on where you are playing. These are generally known as “spots”. As the player, you get to choose your bet size. The online casino’s software randomly selects 20 from the 80 numbers. The software will then determine how much the player wins based on how many of their numbers match the randomly selected numbers. The results will be on screen for the player to also see in case they want to double check the numbers on their ticket and their winnings. In the game of Keno, players are paid out according to the keno paytable. This will vary depending on where you are playing. So, always be sure to have a good look at it before you start playing. 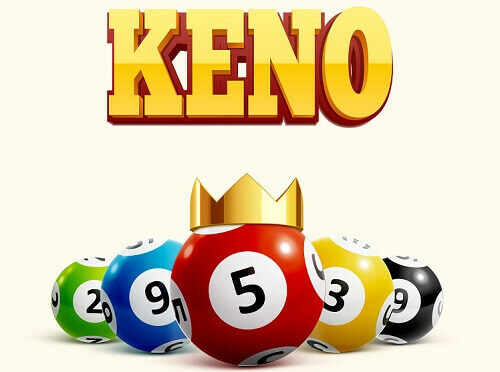 Keno is also available as a progressive jackpot game online. This means that the jackpot amount will keep growing until someone wins it. So, if you are looking to play keno online and stand a chance of winning big, progressive is the way to go. Keno has a high house edge, but it is still a very exciting game to play. You should always ensure that you know online keno rules before you start playing. Studying paytables is also very important as this is a good indication of what to expect if you do strike it lucky. To read about online keno, click here. To read about the history of keno, click here.